Discussion in 'Alternative Treatments and Research' started by calin, Feb 27, 2013. Tinnitus--a ringing or buzzing in the ears--is a symptom of hearing loss, ear damage or a circulatory problem. Indian Ayurvedic medicine views tinnitus as a disturbance of vata energy, which is located in the head and regulates the nervous system, including brain function and breath inhalation. As a vata disorder, tinnitus can be complicated by anxiety, insomnia and fear, so Ayurvedic treatments might also include herbs to balance vata and restore mental harmony. Consult an herbalist, Ayurvedic specialist or other health care professional before starting herbal treatment. Sweet flag, or Acorus calamus, is a wetland plant with aromatic leaves native to India, where it is known as vacha. The active ingredient is an essential oil containing potent terpenoids. Traditionally, the plant is associated with vata energy and believed to strengthen the nervous system. It is used to improve memory and treat various mental disorders, such as epilepsy. As an Ayurvedic remedy for tinnitus, sweet flag root extract combined with sesame oil is applied nasally because the nose provides a direct path to the brain and central nervous system. In an article published in the Protocol Journal for Botanical Medicine, Alakananda Devi, director of Alandi Ayurvedic Clinic, recommends this treatment, known as vacha oil nasya, because it avoids gastrointestinal side effects that can occur if sweet flag is consumed orally. Scientific studies are needed to test and confirm the traditional use of sweet flag for tinnitus. Sarasvati churna is an Ayurvedic formula for tinnitus that contains ashwagandha, or Withania somnifera; sweet flag, or Acorus calamus; butterfly pea, or Clitoria ternatea; caraway, or Trachyspermum ammi; cumin, or Cuminum cyminum; beleric, or Terminalia belerica; and heartleaf moonseed, or Tinospora cordifolia. Together, these herbs have a range of actions related to vata energy. Ashwagandha root has a long history of use as a respiratory stimulant, memory enhancer and nervous system tonic, according to M. Daniel in his 2006 book, "Medicinal Plants: Chemistry and Properties." Butterfly pea improves memory and learning ability in test animals, according to a study by K. S. Rai, et al, published in the December 2002 issue of Fitoterapia. Caraway and cumin soothe the digestive system, beleric is a rejuvenating herb, and heartleaf moonseed aids memory, according to Daniel, and boosts the immune system, according to a study by S. S. Singh, et al, published in the 2003 issue of the Indian Journal of Pharmacology. Devi recommends sarasvati churna for tinnitus patients, except during pregnancy or if patients have ulcers or other bleeding disorders. Scientific studies are needed to test the formula and validate its traditional use for tinnitus. Thank you Carlover, very informative. Righty ho ,I have ordered the sesame oil drops from pukker herbs ,plus nashya nose drops. I shall get some organic sesame oil from a health shop forthe foot massage and give it a good go and report back. ..and this is some great stuff. The basis is that Prana vayu an energy relted to another energy Vata is an energy that can go out of kilter, It relates to me very much I am a "wired" person allways have been. So to get this to normality sesame seed oil is a major treatment ,I deally massaging it after heating into your soles of feet and head and around face and ears.There is nose drops which I have also ordered which calm down this Prana vayu. Plus a few times a week all over massage with the oil....and of course the 10 dropstwice a day heated into your ears. For the head massage i have ordered the oil with brahmi herb as is supposed to be more powerful. I shallstart the regime when I come back from cornwall and tell you how it goes. Hi all,well day 4 of special nose drops ,the ear drops ,the massaging of scalp face and soles of feet. No change so far early days but sadly I think my ears do not like the sesame seed oil.Tinnitus seems worse because the oil i think is somehow clogging the ears.All the Info i found says keep in the ears for 5-10 minutes then turn head and drain out then clean ear.Thing Is there is nothing to drain ,its all evaporated /dissolved but I think residue is clogging them up .I shall persevere for 10 days and take a view. Ear wax accumulation perhaps? I had mine removed just a few days ago, I had a big problem with my ear wax. The 'clogged' feeling that you get, that's usually because of the war wax. It absorbs all the oil and it's difficult for it to become dry as it's oil. If it's water, it can evaporate quickly. But oil takes time, so you get that clogged feeling. Get your wax removed mildly, with micro-suction. Wait for a week or two, and then continue with the oil treatment. @carlover Btw, it takes a long time for it to show results, if any. It took my mother close to 6 months, and now it has significantly reduced! I'm still working on a HUGE post regarding this, I shall mention everything in detail when I start that thread. Meanwhile, don't lose hope, trust in whatever method you're doing and wait for it. I wish you good luck! Hi Insane ,got a quick appt with the Doc and my ears are as clear as they can be,so it must be just part and parcel of the tinnitus experience ,you know the full feelings.So I will carry on .Re 6 months I get that ,even though the internet sites says try for 8-10 days,but in my mind that is far to quick for our systems to change naturally as opposed to some drug regime. Ah, that is sad. Try reducing the amount of drops you put in your ears then. Can you feel the oil reach a reasonable length within your ears? And you're totally right, 8-10 days is nowhere sufficient for our body to recover from something like this, especially with natural remedies. Should take a while. But I hope it will be worth it. Take care, have a great weekend! Improving the structural and functional integrity of the inner ear and the central nervous systemm, medicines like Saarivadi- Vati, Panch-Tikta-Ghrut-Guggulu, Punarnavadi-Guggulu, and Maha-Rasnadi-Guggulu are used for symptomatic treatment of the inner ear. Maha-Manjishthadi-Qadha, Saarivasav, Arogya-Vardhini, Punarnavadi-Mandur, Gokshuradi-Guggulu, Chandraprabha-Vati and Dashmoolarishta are used to treat the various causes of this condition. Herbal medicines like Gokshur (Tribulus terrestris), Amalaki (Emblica officinalis), Guduchi (Tinospora cordifolia), Pippali (Piper longum), Marich (Piper nigrum), Haritaki (Terminalia chebula), Punarnava (Boerhaavia diffusa), Kutki (Picrorrhiza kurroa), Manjishtha (Rubia cordifolia) and Saariva (Hemidesmus indicus) are also very useful for this purpose. How can we obtain all of these herbal medicines? On the net? If so are they reliable? @cmurem Everything that's mentioned there, they're all based on Ayurveda. I'm an Indian, and it's very commonly available everywhere here. You should look for any ayurvedic shop near your area. Everything mentioned there, they're not only good for ears, but for overall body health. They're all naturals. If you can't find a shop, search over the internet and buy it. Righty ho ,Iam sadly going to have to stop putting the drops directly in my ears it deffo makes the T worse.However all is not lost I shall continue with everything else and include massaging the mastoid bone and the ear itself just not pour into the canal.I cant actually see that being a problem with the therapy its not as though the oil is getting into the inner ear via the canal so I do not think the therapy will be compromised. @carlover: That's sad. Anyway, continue with all the other treatments. I wish you good luck! And keep us updated! @carlover; Been over a month now, have you experienced any changes in your T? Any benefits from the foot massage and other things you're doing? Hello buddy ,did it for 3 weeks every night ,just too messy ,too time consuming ,didnt seem to be doing a lot so I gave up. I do know that things take time and 3 weeks is not long enough,but I think Ive tried so many things im worn out with it all and just cant be bothered anymor. Yes, I can understand that. Anyway, goo luck @carlover. Take care! Anyone ever give this one a shot? Also eat pineapples (I love pineapples!) and almonds daily until it's done. I doubt it will work but it's worth a shot for some. Just a thought. I'm always reluctant to put weird things in my ears. I havent heard of this but I guess is worth a try, great post luckyman13 and thanks for the info, I might just try it! How did you get T ? I am from Mumbai, what about you ? In November I checked myself in one of Indua's most reputable traditional Ayurvedic hospitals near Kochi, in Kerala state. It is a charity hospital but not for the many German patients there. I was told tinnitus is not easy or fast to treat, and that my brief (2 week) stay would probably be inadequete time to produce any positive effects, and that a cure us unlikely. Never the less, I gave it a try as ARYAVAIDYASALA has a got a very good reputation as a conservative institution. The accommodation (private room), food (vegetarian) and medical services (at least daily doctor visits to my room, tweaking of medication) were good value, I did not enjoy treatment - two sessions a day involving LOTS of medicated oils applied by multiple men at the same time. I even mentioned to administration that most western men would prefer female masseuses and technicians, but this is not the Indian way. I experienced zero improvement. They were not surprised. Medication consisted mostly of sublimated metals (especially gold and mercury) which I expected to see in another South Indian (Siddha) tradition instead. No harm but no progress. I actually preferred the vibe and more herbal medicine at a branch of another charity hospital in the suburbs of Mumbai as well as at a refugee settlement in Karnataka, run by Tibetan Buddhists. Both insinuated that it was as much a psychological as physical problem. I continue to take the Tibetan meds. I should add that Indian medical treatment, whether conventional or traditional is very affordable to most westerners. It is my health care destination of choice. While in Penang, Malaysia I purchased medicated oils manufactured by the same company and sold by their licensed dealer - at 3X the Indian price. 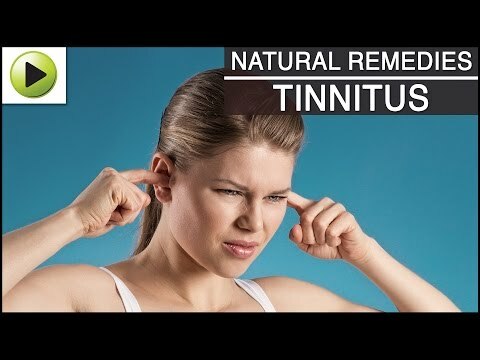 I was reading about these ayurvedic protocols for tinnitus, and was wondering if anyone has had any success with using these? From yesterday I have started Ashwagandha (Withania somnifera) powder and Brahmi(Bacopa monnieri) powder for tinnitus. I intend to use this combo for 12 Weeks, I will post back if I find any Reduction/improvements. Hoping and praying for the best. Ayurveda is the Ancient system of Indian medicine. When I first experienced tinnitus about five years ago, my condition was catastrophic. I was unable to function had to go on disability and also had extreme hyperacusis. I think some of the AyurVedic treatments did help although as we all know it's really hard to determine what is most helpful. This approach to medicine is based on balancing the body so there's a healthy equilibrium. In the system there are three doshas or primary humors. much as Chinese medicine refers to yin and Yang, Ayurveda refers to Vata which translates as air/ether seen in the body as movement including the firing of neurons, Pitta which means fire and water or metabolism, and Kapha which is earth and water. Tinnitus is largely due to vata derangement. Prana (chi) vayu refers to a subcategory of vata that is pushing upwards in the body to the head. So in simple terms Ayurvedic treatments for tinnitus mainly focus on balancing vata. Note: pitta can also be involved. Diet is important as well as many other factors. A vata pacifying diet is important. Dr Lad's book on Ayurvedic home remedies is a very good place to learn more. Here is a link that offers a pretty good overview of how to apply Ayurveda to tinnitus. I think it's for people that has tinnitus due to inflammation inside the ear.